Best Cable TV Alternative | Legal Stream TV is the Best Streaming TV Service Online! Plus Get A FREE 3 Day Trial Account Today. For a limited time, you can get a 72 hour free trial account to check out our 3,000+ live TV channels & 3100+ Movies on Demand, before having to buy any services! Who else is that confident in their stream quality? We provide an opportunity to truly eliminate your overpriced cable bill & upgrade your television services to unlimited viewing options 24/7 without restrictions or limitations. Simply Create An Account, Click On The “Affiliate” Button, And Share Your Link! We’ll Pay You $10 Per Month For Life For Everyone That Joins! Enjoy Live TV on the go. No contracts. No cancellation fees. Try our FREE 72HR TRIAL to see whether Legal Stream TV is right for you! Stream all your favorite live HD sports from all around the world. Don’t miss your favorite teams anymore! We offer an advantageous rev-sharing plan that allows you to grow and manage your own business. MAG, Dreamlink T1, Avov, Android, WebTV (browser), and XBMC/KODI are the supported platforms. 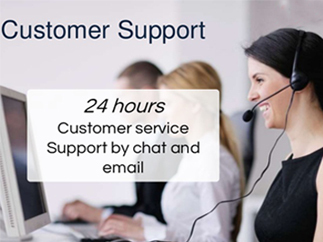 Our live chat and support ticketing system is available 24/7 to assist you with any issues. No more freezing, stuttering. Our TV Services are always ready with our powerful streaming servers. Enjoy more than 3100 Movies, and 3000+ Live TV shows instantly! All our VOD are updated on daily basis. Get The Best Premium Live TV Service & Cut The Cord Today! SHOULDN’T CABLE BE SIMPLE AS 1, 2, 3? WE CERTAINLY THOUGHT SO & THAT’S WHY OUR GOAL IS TO PROVIDE YOU WITH THE BEST QUALITY STREAMS AVAILABLE WITHOUT INTERUPTIONS, HASTLES, OR OUTRAGES COSTS! Get Live Cable TV For Only $29.99 Month. Use On Up To 5 Devices Per Household. We Support All TV Boxes & Devices. Complete Control With 100% Uptime. 24 Hour Live USA Support. Experience the fastest streaming tv service available online! Get Access To Your 72 Hour FREE Trial Immediately! Discover the power of Legal Stream TV’s Wealth Creation System for Just $29.99/mo.